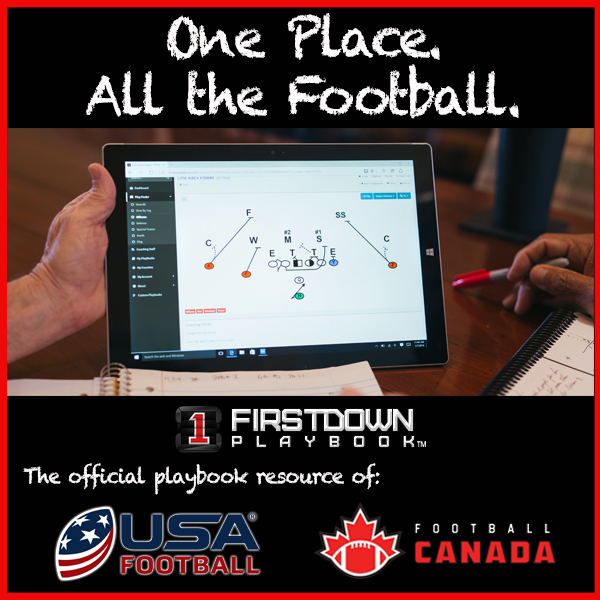 Free FirstDown PlayBook Draw And Edit Demo! Football clinic season is off and running and FirstDown PlayBook is right in the thick of it! It has been a blast as we have visited with a ton of football coaches who have stopped by our booth to see first hand how their football coaching lives will be changed by this new tool. That’s the thing about FirstDown PlayBook. You really have to see it to understand just how powerful it is. The power doesn’t come from how fancy it is. The power comes from the fact that it literally affects you every day that you coach football. 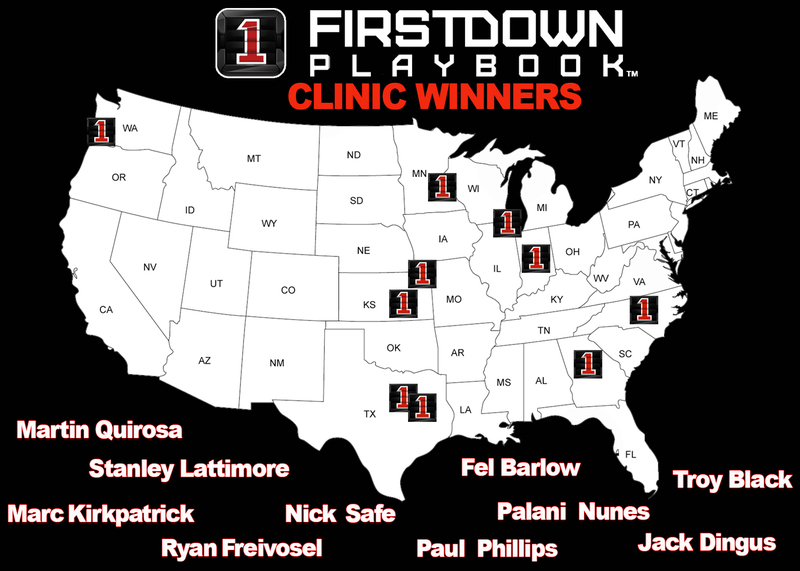 As you can see from the map below, not only have we been all over the country this winter but we have also rewarded ten coaches with a free individual membership to FirstDown PlayBook just for stopping by our booth. So if you are in attendance at one of our remaining clinics be sure to stick your head in at our booth so you have a chance to join this group of winners! All we do at the booth is show coaches what FirstDown Playbook does and the coaches eyes normally tell the rest of the story. Now we know all of you can’t make it to a football clinic every year, so we have a solution for you too. If you want to demo FirstDown PlayBook from your computer right now to see what all the fuss is about just tap on the map and you can do just that. Just please know that you will not be able to create playbooks, share or print your plays or playbooks. Also, please be aware that we will wipe the plays on the demo website periodically. 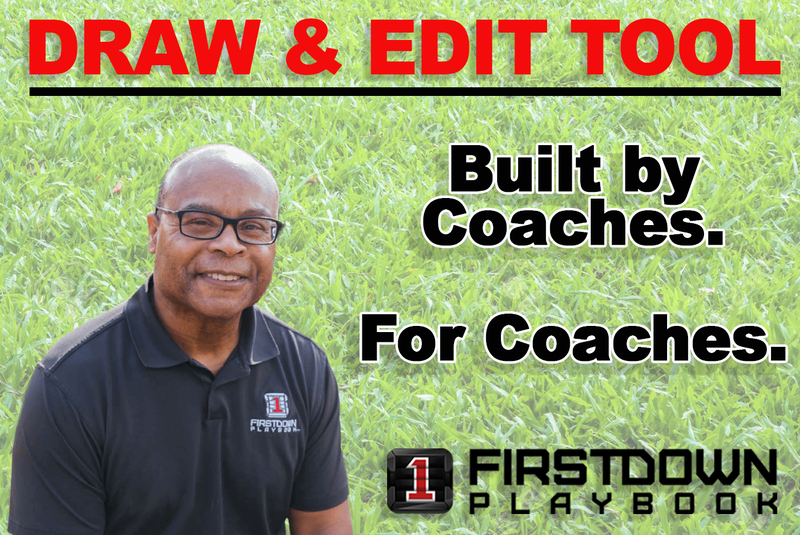 Are you ready to see how FirstDown PlayBook has freed you up to be a football coach again and not a football play drawer? Let’s get busy. TAP ON THE MAP BELOW TO DEMO FIRSTDOWN PLAYBOOK 2.0 DRAW AND EDIT!